Why rely on Acciaitubi? Discover our strong points. European community production in the industrial park of Terno d'Isola, close to Bergamo. Italian quality and excellence with particular attention paid to the origin of raw materials. The wide range of products always in stock is one of the strong points that allows just-in-time deliveries for customers. The internal organisation allows for maximum flexibility when managing orders. Acciaitubi assigns one area manager to each business partner. Each client has one single and reliable referent he can contact regarding any requests or exchange of information. In recent years Acciaitubi has invested heavily on all quality related aspects. Thanks to its state-of-the-art advanced analysis and control laboratory, it has been awarded all major quality certifications according to international standards. Acciaitubi exports over 60% of its production, and aims to increase this to 70% in the short term. Its staff speak fluent Italian, English, German, French and Spanish, which has been an important asset in achieving such high export figures. 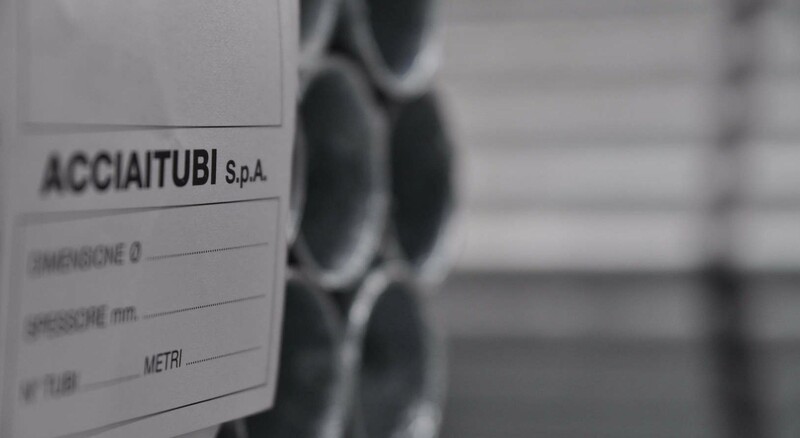 Attention to the environment is guaranteed: Acciaitubi complies with the certification of its environmental management system UNI EN ISO 14001: 2015, demonstrating its commitment to maintain low environmental impact of its activities, in terms of sustainability and continuous improvement. Welded or seamless, water or epoxy powder painted, galvanised, grooved, threaded, standard and customized lengths, markings and colours. Endless variations are available on request to meet all specific customer requirements. Acciaitubi is committed to its attention to quality making it a fundamental added value: each product is manufactured according to precise procedures and quality controls.